As Vice President for Engineering for Advanced Solutions, Rob Eli oversees the development and execution of engineering service projects across all of ASI’s engineering disciplines. 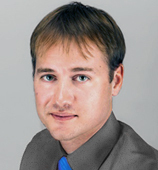 Rob joined ids Engineering (now an Advanced Solutions subsidiary) in 2002 and worked as a Software Engineer and Architect, leading efforts to build ASI’s proprietary product offerings (including Xpedient and Slot3D) from the ground up while directing dozen of software customization and development consulting engagements. When Advanced Solutions purchased ids Engineering in 2012, Rob moved into the role of Vice President of Engineering, bringing proven project management capability to all of Advanced Solutions’ engineering services projects. Rob holds a B.S. in Computer Science from the University of Kentucky and a Masters in Business Administration from the Eller College of Management at the University of Arizona. Rob resides in Tucson, Arizona.